This is an interview with Healing Cloud’s team member Nabil from London. He wanted our online clients to learn more about my hypnotherapy practice. HealingClouds.com had invited me to be one of their online video practitioners more than a year ago. It is a really convenient way to connect and learn about self healing from holistic healers all over the world from the comfort of your own home. Because you are actually the one who has the power and the information available to heal yourself, with guidance from a professional holistic healer. I believe this is because, with a mind/body/spirit healer/teacher such as myself, you are connecting to the grace and healing of the Source Energy of your own personal God. This interview took place during a huge storm in California. We thought we were cutting out but we weren’t. Nabil promised to edit, but he never did. It’s raw, but I liked it anyway and felt it was worth sharing. There is a lot of information here and I was pleased to be able to talk about the esoteric things I do, co-creating healings for my clients. If you want to make an appointment with me at www.healingclouds.com please follow this link: http://bit.ly/rev-kathleen-shannon It currently is the only easy way to find me to make an appointment with me personally on healingclouds.com. There I offer 10 minute free consultations and also full sessions, 60 to 120 minutes long. This can include Clinical Hypnosis such as Becoming a Non-Smoker, Weight Control, Changing Habits, Mending a Broken Heart, Pain Control Therapy, and Addiction Rehab. This can include Spiritual Hypnosis such as Past Life Healing, Spirit Contact Therapy and Life Between Lives Healing. I am available 7 days a week, 10 hours a day online and also in person at my Healing Spa in South Orange County, California. You may contact me directly at kathleen444@gmail.com. You may call or text me directly at 1 (949) 422-4092. Thank you so much for listening to my interview! Many beautiful blessings, Reverend Kathleen Shannon. So you have a diagnosis of Diabetes, or Pre-Diabetes. Now you are faced with a daunting task. You are realizing that you will have to change your lifestyle if you want to be healthy, heal or even stay at the level you are right now. Notice how you are feeling about the diagnosis of Diabetes. Are you resentful, anxious, worried or overwhelmed? You will have to be making decisions also about your personal diabetes diagnosis and treatment plan. Should you accept the wellness program offered by your doctor of Western Medicine? This may be a result because you are paying a lot of money for health insurance premiums in America and so you want to use it. Or you may believe that Western Medicine has all the answers because it is based on science, and the latest findings of scientists and the drug offerings of the Pharma Industry. You will probably begin a regime of testing your blood sugar levels throughout the day and then injecting insulin to maintain your correct sugar levels. Maybe it feels as though Western Medicine infers that you won’t have to change your diet as long as you test your blood and use insulin properly. Diabetes can be a dangerous juggling act because when you forget to take the tests and inject pharmaceutical insulin, your body can go into shock. You begin to feel shaky and disoriented. There are people driving the freeways here looking as if they are drunk drivers. Not all of them are consuming alcohol. Someone who is in diabetic shock can actually appear as if they are drunk. They don’t even remember driving home. I know this personally because family members and friends who are diabetic have reported these problems. You can endanger yourself and the lives of others if you forget to follow the maintenance laid out by your doctor. On the other hand there are countless videos on youtube and articles you can google about actually healing and curing diabetes. It is true! You can actually heal yourself from diabetes, which Western Medicine wants everyone to believe that there is no cure. To me, this approach seems smarter even if you have to pay out of pocket to visit holistic healers in person or online at www.healingclouds.com. You can cure yourself from diabetes using a combination of diet, herbal and mineral supplements, meditation, hypnosis and energy healing. It is important that you realize there is a world of options out there! I understand that this can be frustrating for you. Of course we all want life to be simple and easy. It is amazing how complicated it can get once you are ill or in pain. This is only an indicator that something in your body is out of balance and so let in dis-ease. Besides, you are really not your body. The true you is spirit inhabiting a body for which you are responsible for keeping healthy. So something out of whack in your physical, mental or emotional state has let in disease. It is up to you to take this challenge or not. You can continue on this path to dis-ease and die, which is a natural end for each of us, or you can choose life continuing for much longer by being proactive and doing the things needed to maintain good health. Number one- you should absolutely decide to not eat sugar: all desserts and sweets and all the foods that create sugar, like breads, white potatoes, alcohol, etc. Granted- this is not easy! If you want to see people getting upset, take away the foods that people are used to eating. I used to work part time at Trader Joe’s Grocery Store and if you want to see drama, come into one of those stores and notice how people act when they can’t get the food and drink they want or crave! That is because Trader Joe’s is constantly running out of products. As a stock girl, I was saying “sorry” all day long! Besides, vegetables are the cheapest and best foods to eat to get the body back to health. Watch the documentary on Netflix called “What The Health” to learn more! Number two is exercise. You must get gentle exercise everyday and lose any excess weight to relieve symptoms of diabetes. You know this already if you have received a diagnosis of diabetes. Your doctor has probably already advised you to maintain lower body weight if you want a healthy heart and holistic body systems for a better lifestyle. Number three is attitude. This is actually the most important and least understood of actions required for excellent health. You must maintain your equilibrium by learning how to soothe yourself when you are feeling down. If you have decided to use insulin and self testing with needles, have a good attitude about it. Say to yourself how grateful you are for this program as you use it. But understand that Pharma insulin is mainly a temporary solution. It has not turned out to be a long life program. Western medicine may have led us to believe that it was. Just look up statistics for how long it is effective for and how long people have lived using it. Complications do set in very often. Therefore, you should eventually work up the inspiration to look into alternative methods of actually curing diabetes. One of the cornerstones of my healing practice are the Teachings of Abraham. There are countless videos on YouTube to peruse on the subject of healing yourself with your thoughts and your attitude. I can help you with this work by using hypnotherapy to support what you learn there. Go to YouTube and search: Abraham-Hicks Diabetes. My job as a healer is to support whatever health regime you have decided upon. Whether or not you use Western medicine I can support you with energy healing. I am a certified Reconnective Healing practitioner. This work reconnects you with the God force inside of you, creating harmony, balance and peace. Harmony, balance and peace are the cornerstones of good health. Reconnective Healing also gives you the subconscious information and inspiration needed to create the energy to heal yourself. It inspires you to connect to the people, places and things needed for your personal unique healing. I am a master certified hypnotherapist here on earth to serve you and your health needs. I can support you with hypnotherapy as it is not easy to follow a new health regime when it requires you to change lifelong habits. This can easily be handled with hypnotherapy because it reprograms the unconscious mind to accept new behavior. The conscious mind puts up resistance to change in any form. This is how people easily forget their medications. This is how people get depressed when they are ill, because they don’t want to change their habits and behavior. People want life to be simple and easy. Therefore many don’t want to take the time that dis-ease requires one to take. Going to doctors, taking the medication, changing the lifestyle, etc. I don’t blame them! It’s not fun. The danger can be the attention people get by having a disease. If they are constantly talking about it and getting attention and pity from others because of their disease, they can actually create resistance to getting better because they have created a benefit. The disease has taken over their life in every way. It becomes their life! Don’t let this happen to you. Please, make an appointment today with me at www.healingclouds.com, or for private sessions in Orange County, CA. call or text me directly at 1-949-422-4092. I am open 7 days a week from 10am to 8pm. Many Blessings On Your Amazing Journey, Reverend Kathleen Shannon. Click on any image in this website to make it bigger. For a very short time, here is a free online Distance Healing promotion special, as shown in this copy of my facebook posting today. This offer may expire soon, so check the bottom banner on the home page of www.HealingClouds.com, it should say BOOK YOUR FIRST HEALING SESSION FOR FREE, USE PROMO CODE FREEHEALING. You can find me on the Browse Practitioners page, type Kathleen Shannon in the Sort By box to the right, just above the SEARCH button, or just scroll down the page, I am near the top of the second page. You can book the Distance Healing session as far in the future as you like, but the free offer may be over soon for reserving the booking. You can reschedule any booking if needed. The website, offices in Dubai, operates on International time as far as the date being written in day/month/year. The practitioner makes 75% of a regular priced Distance Healing session, and 50% of the asking fee for a free Distance Healing session. I feel this is very generous. They require a starred review for the practitioner at the end of every session. The more good reviews a practitioner has, the higher up the practitioner wall they rise. I am very impressed with this website and pleased with the help I have received so far in being accepted and nurtured as an online Distance Healing practitioner. What is Distance Healing. For me, Distance Healing is Reconnective Healing in non-local reality. You relax on a bed or couch near your laptop or desktop computer. I am looking at you from my laptop, as I facilitate Reconnective Healing on my patient puppet who is 6 ft. tall and laying on my massage table. It comes in several personalities that I tailor to you. The patient puppet represents you. You, me and the Intelligence of The Field all work together to co-create a healing. After the 30 minute actual Distance Healing dance session, I record your experience. The beginning of the session is when I review your history and instruct you on how your Distance Healing session will work. 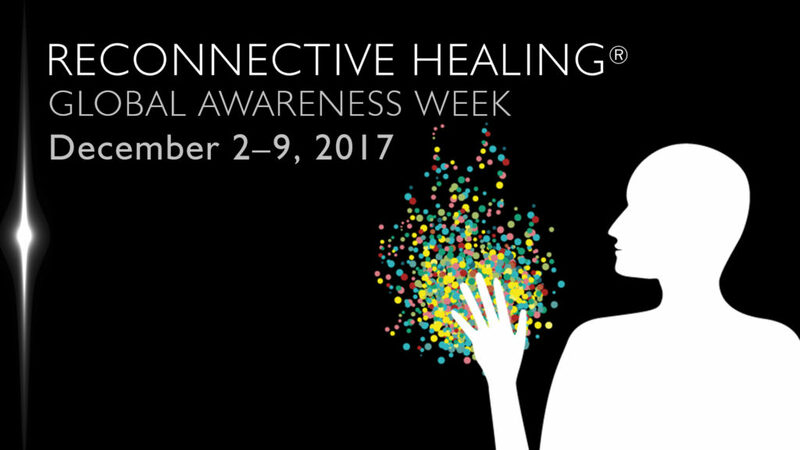 For most people, Reconnective Healing tends to be a life-changing experience. You can access a new, more comprehensive spectrum of healing than has been attainable at any point prior to now, one that includes and expands beyond any and all known forms of “energy” healing. The Reconnective Healing spectrum is comprised of the full healing and evolutionary continuum of energy, light and information. It allows for healings that are not just physical, not just mental, not just emotional… yet go beyond that to bring you healing that includes the evolution of your very being and essence! 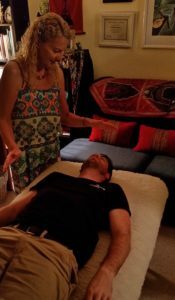 Vastly different than Reiki, Johrei, Jin Shin, Qi Gong or any healing “technique” ever encountered, Reconnective Healing allows you to transcend technique and its limitations. Entirely. On December 3rd, 2017 Mercury will station retrograde in the sign of Sagittarius, ushering in a three week period dedicated to reconnecting to your inner world, where the seedlings of new ideas remain protected. Your interaction with these highly palpable energies is initiated during your session, and they continue to work with you long after you’ve left my Reconnective Healing Practitioner’s office. Following your sessions, you will be attuned to a more comprehensive and evolutionary healing frequency than ever before. Get Reconnected! Schedule your session with me today at 949-422-4092 text or talk, or email at kathleen444@gmail.com. My primary healing tool is hypnotherapy, which I have been practicing since 1993. I use deep relaxation and creative visualization to help my clients release anxiety, guilt, pain, sadness, addiction, anger, unwanted habits, and negative programming. These are the emotions and behavior that cause disease and the events you don’t need in your life. When unwanted things like that happen in life, you may be causing them by your negative thought patterns. Illness and accidents are soul’s indicators that behavior and thoughts must be changed in order to experience a much more positive life and lifestyle. I am a proponent of the Teachings of Abraham, Law of Attraction and The Art of Allowing, using hypnotherapy as a tool to accomplish these positive transformations in my client’s psyche and subconscious mind much quicker. My primary hypnotherapy website is www.BenevolentHypnotherapy.com, which was established in 2007. It has many detailed articles and information about my work, including suggested donations and locations. 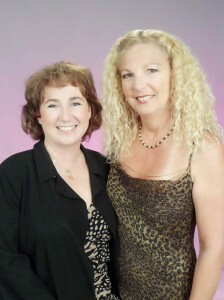 My hypnosis website for parties, group seminars and workshops is www.PastLifeParty.com. It has many photos and examples, prices and locations listed. A very easy way to write a review for me is on Google + Places. Here is the link: https://plus.google.com/+KathleenShannonLagunaHills/about. Thank you so much! I am also on Yelp! Here is my page if you would like to leave a review. You have to be a member or become a member, but it is really fun and you become an important part of your local community. I am also a Yelper, and I love sharing my positive experiences around town. 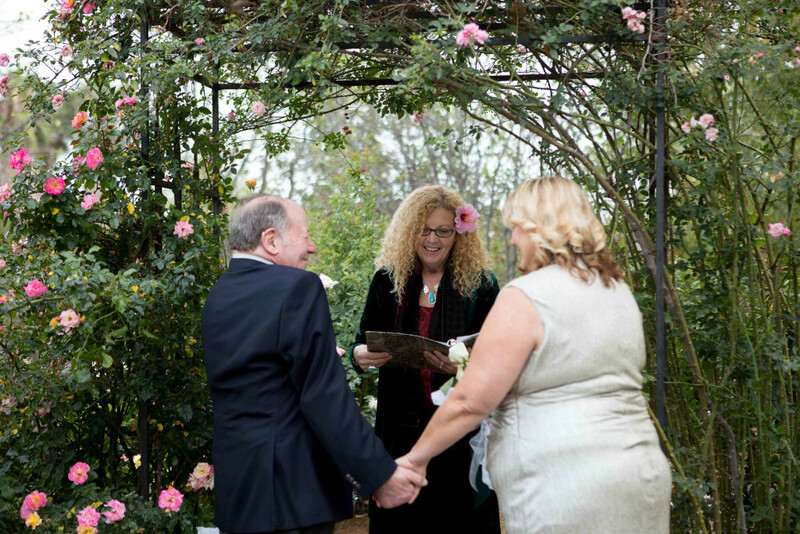 Here is the link to my professional page where you can write a review or read reviews: http://www.yelp.com/biz/reverend-kathleen-shannon-laguna-hills-2. Thank you again! Thank you so much for your support and desire to share my healing abilities with others. Reverend Kathleen Shannon and her sister, Dr. Jill Shannahan. Dr. Jill is a practicing psychiatrist in Santa Cruz, California. The bride dreamed of getting married under a rose arbor. Greetings my beloved clients, family and friends who have known me over the years from www.PastLifeParty.com, www.BenevolentHypnotherapy.com, www.AltHealing.com and www.KathleenShannon.com. I love these websites, but unfortunately they were built on iweb, which is no longer supported by Apple, though the websites still work fine. I knew eventually I would need to apply new software, to keep up with technology. I will try to incorporate all the components of my other websites into this one new website, so finally I can let iweb go. This is a new beginning! Thank you for your patience and understanding, as the process could be a bit slow to manifest. Copyright © 2019 Kathleen Shannon. All rights reserved.